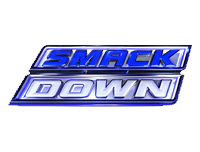 The 9th December 2011 episode of Friday Night SmackDown! starts with Booker T being tended to by referees and medical personnel, after having apparently been attacked by Cody Rhodes, moments before the show started on his way to the announce table, and a video is then shown that proves that is indeed the case. Then introduced as making her return to the WWE as the ring announcer of SmackDown! Is Lilian Garcia, but before she can say much more than how good it is to be back, Cody Rhodes interrupts her. He says that nobody cares that she is back and that nobody had even noticed that she had left, though he says that he enjoys the symmetry of one announcer coinciding with the departure of another (Lilian’s return, and Booker T’s attack). Rhodes says that he guesses that he didn’t send his message to Booker T clearly enough last week, but that he has made it abundantly clear on this episode of SmackDown!, but the question is who is going to take his place – and Rhodes says that he will, as he then does just that and tells Booker T to watch carefully as he might learn something, “sucka”. Now, Wade Barrett takes on Ezekiel Jackson in a “Beat The Clock” match, with the person who gets the quickest time in the challenge out of Barrett and Randy Orton being the one who will be able to choose what match the two will have at the TLC Pay-Per-View. The match sees Barrett get the victory at 7 minutes 53 seconds, when he hits Jackson with a sidewalk slam for the 3-count. Afterwards, Wade Barrett grabs a microphone and says that when he started the “Barrett Barrage”, it was to take him all the way to the World Heavyweight Championship, but he says that one man was stood in his way – Randy Orton. He says that he did what no man has done before, and humiliated, embarrassed, and defeated Randy Orton repeatedly. Barrett says that Orton has always had a psychological advantage over his opponent, but not this one, as there is only one voice in Orton’s head right now and it is Barrett. As far as being the “Apex Predator” of SmackDown! and his match later on goes, Barrett says that his voice if telling Orton that he is out of time. An interaction between David Otunga and Teddy Long backstage with Otunga complaining about being put in a match last week by Mick Foley, sees Long then giving Otunga a match this week too, but this time against Sheamus. After a video recapping the steel cage match for the World Heavyweight Championship between Daniel Bryan and Mark Henry last week, Josh Mathews interviews Bryan in the ring about how he feels after losing the match, until Michael Cole decides to interrupt. Cole calls Bryan a loser and he then gets into an argument into Bryan, which sees Bryan exit the ring and start to approach Cole and suggesting that he perhaps make Cole go away by making him tap out – until Cody Rhodes interjects with an attack. Next, Zack Ryder is pitted against Heath Slater in a match which sees Ryder get the victory, when he hits Slater with a Rough Ryder for for the 3-count. After a video recapping the events involving Ted DiBiase and Jinder Mahal in Mahal’s match last week, Ted DiBiase goes against Jinder Mahal in a match which sees DiBiase get the victory, when he catches Mahal in a small package for the 3-count. Next up, The Big Show is in the ring and he talks about how it has been nine years since he beat “The Next Big Thing” Brock Lesnar in Madison Square Garden to become the WWE Champion. He says that a lot of people told him that it couldn’t be done and that he was a hopeless under-achiever – though he says the latter wasn’t said to his face, he says he still heard it. He says that nine years is a long time and he has been waiting for the perfect opportunity to become the a champion again, and he says that when he stands across from Mark Henry at the TLC Pay-Per-View with a steel chair in his hand, that will be the perfect time to become the World Heavyweight Champion. Show says that it is simple physics, and that it is going to get mean and nasty at TLC, and that the doors on Mark Henry’s Hall Of Pain are going to get slammed closed. Mark Henry’s music hits and he makes his way down the ramp. Henry says that he is not afraid of Show, but what he is is half-way hurt, and he says that he is not looking for a fight. He says that he has something to say to Show, but he wants to say it face-to-face, and wants Show to promise that he won’t put his hands on him. Unsurprisingly, Show says no to this, but Henry asks what kind of legacy Show would leave if he beats Henry when he’s not at one hundred percent. Henry says that he will get him at TLC, but what he is asking is for a courtesy that Show won’t put his hands on him if he gets into the ring. The Big Show agrees, so Mark Henry makes the rest of his way to the ring, and enters it to stand in front of Show. He tells Show that they have a lot in common, from being two of the biggest men to grace the ring with their presence, to them both being a champion – though Show’s is former and Henry’s is current. Henry says that he should be at 100% at TLC, and he says that Show will have all of him that he can handle, and that they are going to have a fight that people are going to talk about for decades. He says that they have done some mean and hateful things to each other, but he says that maybe they should let bygones be bygones, and may the best man win, as he then holds out his hand for Show in offer of a handshake. The Big Show accepts the handshake, but afterwards Mark Henry adds that he can see it in The Big Show’s eyes that he thinks that he is a monster, whereas Henry knows he himself is. Henry follows it up with a cheap shot to Show that knocks him over, and Show retaliates by taking Henry down and attacking Henry’s leg before grabbing a chair from ringside. Show slams the steel chair on Henry’s back and then leg, before throwing the chair into the ring and then leaving, as referees rush down to attend to Mark Henry. Hornswoggle is revealed as the Special Guest Ring Announcer for the upcoming match now that he is able to talk, with David Otunga taking on Sheamus in a match which sees Sheamus get the victory, when he hits Otunga with the Brogue Kick for the 3-count. After another video hyping the return of somebody on the 2nd January 2011, and a video recapping the events of earlier on involving Cody Rhodes and Daniel Bryan, Daniel Bryan is pitted against Cody Rhodes in a match which sees Rhodes get the victory as a result of a disqualification, when Booker T’s music hits and he runs to the ring and attacks Rhodes, obviously in retaliation for the events at the start of the show. Rhodes bails out as quickly as I can, leaving Booker T demanding that he come back and face him. After an interaction involving Cody Rhodes, Teddy Long, and Aksana, that sees Long grant Rhodes’ demand of a match with Booker T, and state that it will be at TLC and for the Intercontinental Championship, Matt Striker interviews Randy Orton about his upcoming “Beat The Clock” match against Dolph Ziggler. Orton suggests that Striker should try asking Barrett as he claims to be in his head, and he says that if he was in his head then he would know exactly what he is thinking, which is that Wade Barrett did Dolph Ziggler a tremendous favour as he usually likes to ensure the proper suffering of his opponents – which usually happens slowly and methodically. Though he says there will be suffering, Orton says that it will be over quickly. He says that Barrett thinks that he is in Orton’s head, but in reality, Orton has him exactly when he wants him. Now, Randy Orton goes against Dolph Ziggler (accompanied by Vickie Guerrero) in a match which sees Orton get the victory, beating Wade Barrett’s time by only two seconds. Afterwards, Orton is immediately attacked by Barrett, who then congratulates him and says that he gets to choose the stipulation for their match at TLC. He says that he would like to help Orton with that as he’d like to make his own suggestion, as he throws Orton out of the ring, then clears the ladder and steel chair away from a nearby table, and approaches the table with Orton on his shoulders in the position needed for him to hit The Wasteland. Randy Orton manages to fight his way out of it, and instead appears to attempt a powerbomb on Barrett, but that is countered too. Barrett slams Orton’s head off the ring ring steps, before quickly leaving up the ramp. When Randy Orton notices the nearby Dolph Ziggler, he decides to send a message, as he then picks up Ziggler, and powerbombs him through a table as Barrett watches on from the stage. Both men stare each other down from their respective positions, as SmackDown! goes off the air.